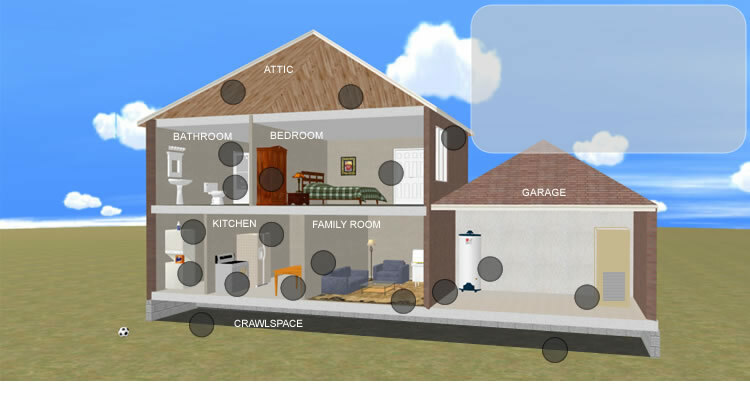 Move your mouse over one of the spots to see where mold can grow in your home! 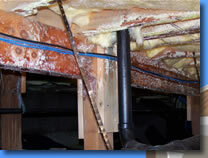 Mold control is about moisture control. 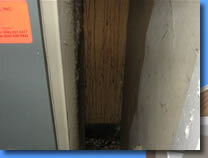 If you can control water intrusion, leaks and the movement of moisture then you can control mold. 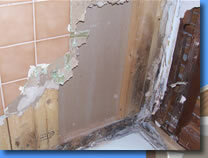 Water problems are generally unexpected, however by paying attention to those potential areas that can cause moisture to build up and by using our proactive shield you can virtually eliminate toxic mold and bacteria. 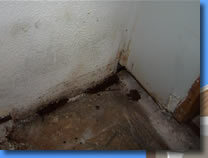 Mention mold and most people picture a black substance lurking in the corner of the basement or that slime in the shower. They also believe it only grows in the dirtiest and dampest homes and buildings. The reality is that mold, a very simple organism reproduced by spores, is quite durable and can flourish in sparkling clean and “new” environments just as easily. 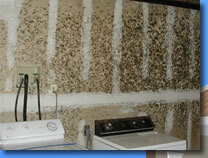 Mold is a microscopic organism found almost everywhere we work and live. 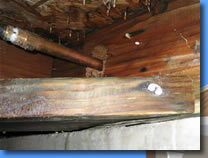 Mold is activated by moisture and can grow on virtually any substance. 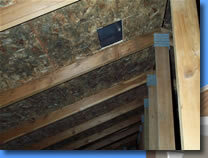 There are molds that can grow on wood, paper, carpet, and foods. Outside it can be found on plants, leaves and other organic material. Indoors it grows on any surface including heating and ventilation ducts, carpets, houseplants, sheetrock and more. 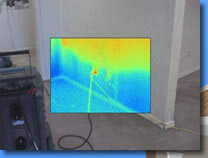 Mold spores can detach easily from the surface and become airborne, which means simple activities like dusting or walking across the carpet can spread mold spores. 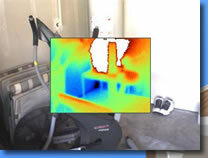 All molds can be toxigenic and some can cause disease. 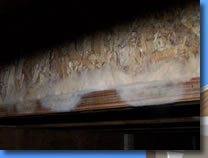 There are over 100,000 known variations of mold and they may cause countless health problems including: allergies, body aches, chronic headaches, breathing problems, sinus congestion, skin itches, rashes, and dizziness. What is undetermined is when and why some people are affected and why others are not. 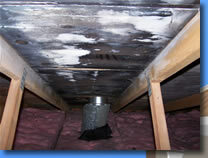 If you suspect mold is present in your home or building, you should have it inspected by a nationally certified company or individual. 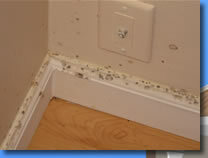 The most difficult part about mold is that it can grow in almost any environment, and you can’t always see it. Just because you can not see it does not mean it doesn’t exist. 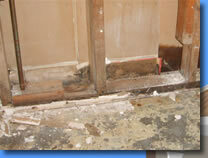 What should I do if mold is discovered? 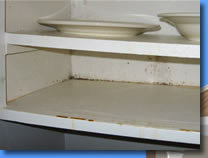 First and foremost do not touch, scratch or try and wipe away mold as these actions will only help the mold to spread to other parts or the home or building. 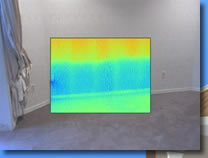 The next step would be to call an indoor air quality specialist and have them evaluate the infected area and help you find the source of water intrusion. 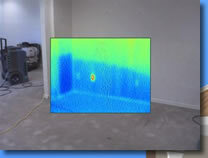 After a thorough evaluation a specialist should offer you a plan for remediation, which should also include a plan for stopping water intrusion at its source. Science shows MOLD as the culprit in several dark moments in history! Recent scientific evidence takes the mystery out of several historic occurrences. As far back as Biblical times, it seems that some people taken for ‘lepers’ may have had fungal infections. The Bible makes note of the purification process that included typical methods of mold removal, including replacing mildew damaged stones and re-plastering walls. Almost 200 years later in Ireland, mold struck again. Half of Ireland’s eight million people’s diet consisted primarily of potatoes. When a long period of rain came in 1845 the leaves of the potato plants developed a fungus (Phyophthora Infestans), which caused entire fields to rot within weeks. Farmers were forced to use their uninfected seed potatoes as food, leaving nothing left to plant the next year. Starvation spread throughout the country and as a result, three and a half million people died from starvation and disease, or were forced to leave the country. More recent discoveries have found an answer to the age-old question about the cursed mummy tombs of ancient Egypt. Many tombs hold the promise of ‘death to all who enter,’ and when many tomb explorers suffered illness and death, the curses seemed to be fulfilled. The truth is that most Egyptians buried gems and food with the dead for use in the afterlife. This food provided the perfect breeding ground for molds like Aspergillus sp., which causes the exact symptoms so many ‘cursed’ explorers had suffered. In 1999 a German microbiologist analyzed 40 mummies and found each of them to contain several potentially dangerous types of mold spores. Because of these discoveries and evidence, scientists now take extra precautions when exploring new tombs. Even today those molds and fungi capable of causing such dark moments in history are still wreaking havoc in indoor environments.